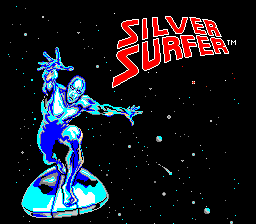 On the left is the game's title screen. 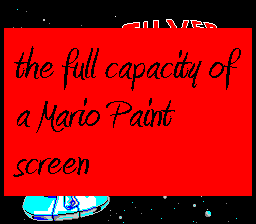 On the right is that image with the colors adjusted for Mario Paint. 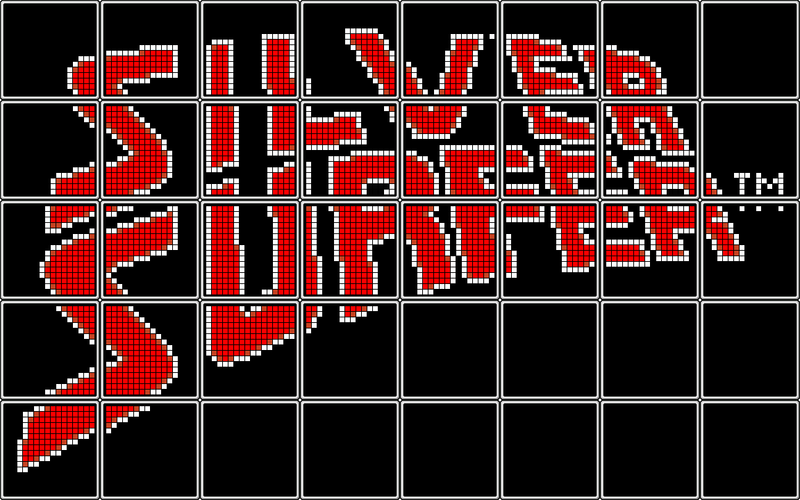 Although the shades of color are a little altered, not a single pixel is missing. 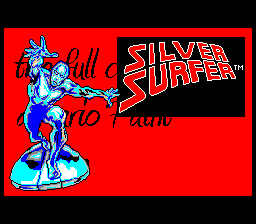 On the left, you'll see that the full capacity of one Mario Paint screen is not enough to encompass the entire title shot, with the way the Surfer and the words are positioned. 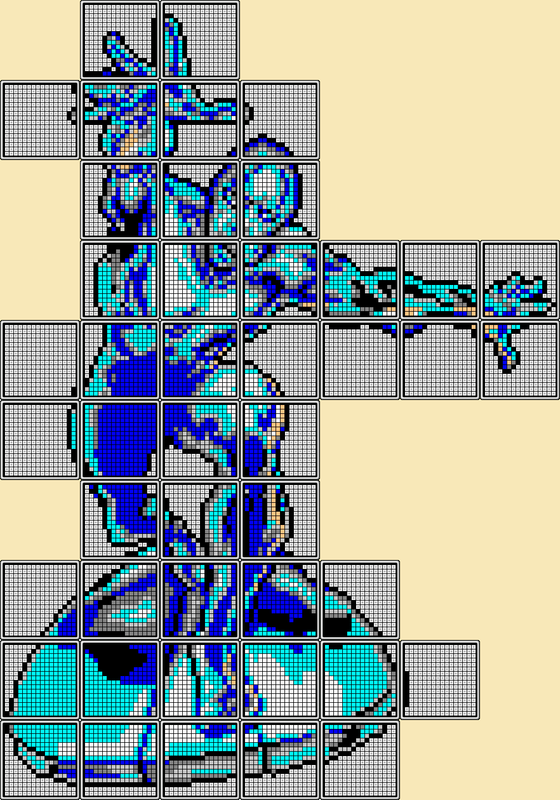 In the middle, you'll see that both will (barely) fit in the image at once. 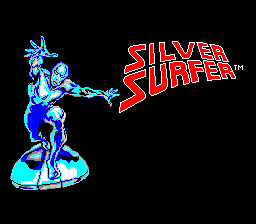 On the right, you'll see a screen that really can be pulled off. 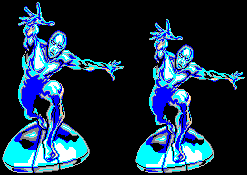 A little confession: since the real Silver Surfer (left) is too big to fit into the screen, I had to shrink the image down to 90% of its size (right).